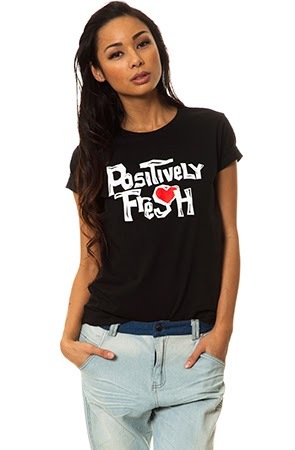 FASHION FRIDAY'S SHINES LIGHT ON FINESSITIES CLOTHING Co.
What is Finessities you ask? WELL allow us to tell you. FINESSITIES is a clothing line that STANDS for Fashion In The NATURAL Essence Serving Success In The Image of Everyone's STORY. So basically its inspiration for those who are TRYING to become someone. Seeing that the YOUTH have a strong desire to be rappers, singers, DANCERS and athletes, Finessities decided to PROMOTE attainment/achievement of dreams by UPLIFTING the youth through LEADERSHIP roles, creativity, CULTURE and ultimately being Royal in there fashion. This is SHOWN by there Egyptian logo which is also deeply ROOTED to where most thing came from. FINESSITIES states that they are more then just a brand but A success driven culture targeting the Urban Youth of AMERICA. Finessities says their VISION is to build and uplift the YOUTH through social RESPONSIBILITY, professionalism and COLLABORATING with others to dominate the Fashion WORLD. Expecting that these experiences will mold INDIVIDUALS of today into the leaders of the FUTURE. To see more of Finessities Clothing you can visit THEIR website at www.finessitiesclothingco.com or on their vaires social media sites shown below. 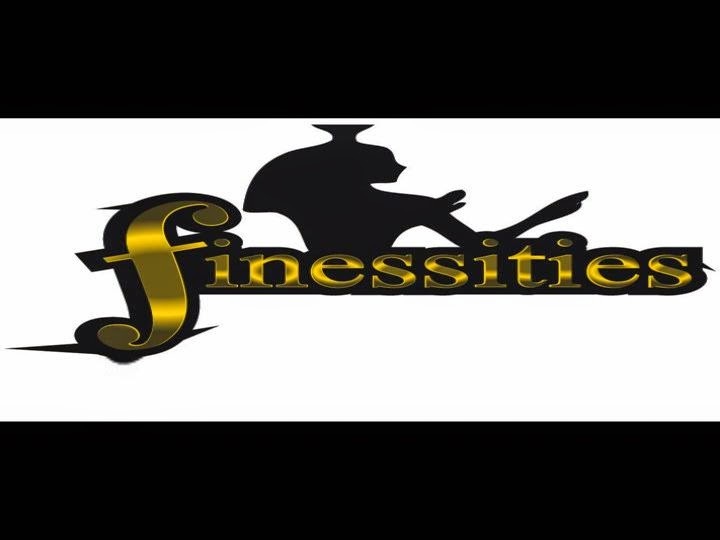 #iGrind Salutes FINESSITIES CLOTHING for all its hard work and wishes them great success. KEEP GRINDIN! Rio Clothing formally known as "FINAOrio" was established in 2007 to remember the PASSING of Mario Mcroyal a young TEEN who was killed in a horrific car accident coming from a PARTY one night. FINAOrio was initially CREATED to give hope to anyone dealing with ADVERSITY, those who were told what they COULD and COULD NOT do and for those who just felt like GIVING up. 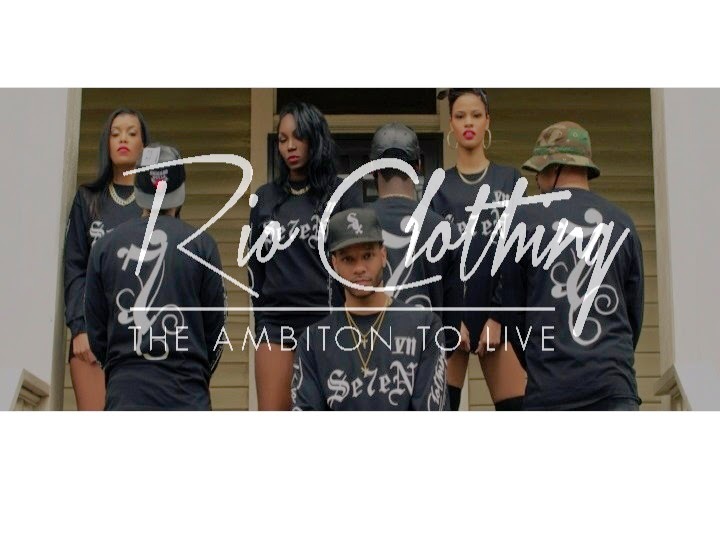 Coming up with the MOTTO "The Ambition to Live" Rio Clothing wanted to CREATE a positive image to encourage people to go for theirs and let the SKY be the limit. "Live your life to the FULLEST and give YOUR all in everything you do BECAUSE you only fail when you don't try" stated by Charles Harris VP of Rio Clothing. Rio Clothing target AUDIENCE are men and women BETWEEN the ages of 14-28, but they honestly believe that THIER brand is for anyone that can relate to their MISSION statement. Their new spring COLLECTION which will be available in May of 2014 is ENTITLED "Seven" and it stands for the inspiration of when MARIO Mcroyal was called home 7 YEARS ago as well as THEM being established for 7 years. RIO Clothing states that there goal is to inspire EVERYONE that comes in contact with their brand and innovate the street wear culture as well as to CONTINUE to carve a niche within the fashion INDUSTRY. To see more of Rio Clothing you can visit their website at www.rioclothingco.com or on their varies SOCIAL media networks shown below. #iGrind Salutes RIO CLOTHING for all its hard work and wishes them great success. KEEP GRINDIN! 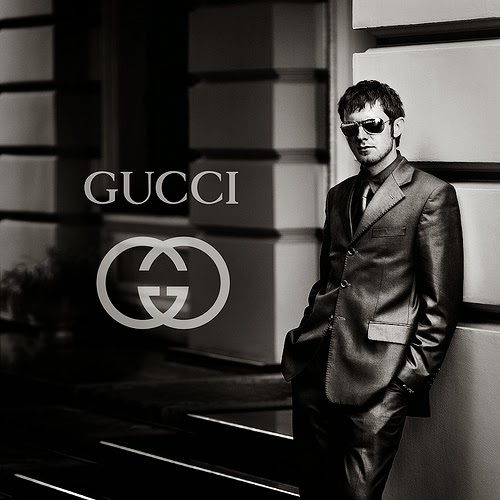 Gucci was founded by GUCCIO GUCCI who was born in FLORENCE, NC Italy. As an IMMIGRANT in Paris and then LONDON, Guccio made a living working in luxurious hotels and WAS always impressed with the affluent luggage he saw the GUEST carrying. So he saw't OUT to create his own luxurious line of material THAT intertwined with HIS native craftsmanship. He began by SELLING leather bags to horsemen in the 1920's and graduated into luxury luggage with the EMERGENCE of horseless carriages and non-equine transport. IN 1921 Guccio opened up his first GUCCI store in Florence. His store quickly became known for quality leather goods and fine craftsmanship. His son also JOINED the Gucci firm in 1953, the YEAR Guccio died. This was also the year that the first OVERSEAS shop opened in New York City. 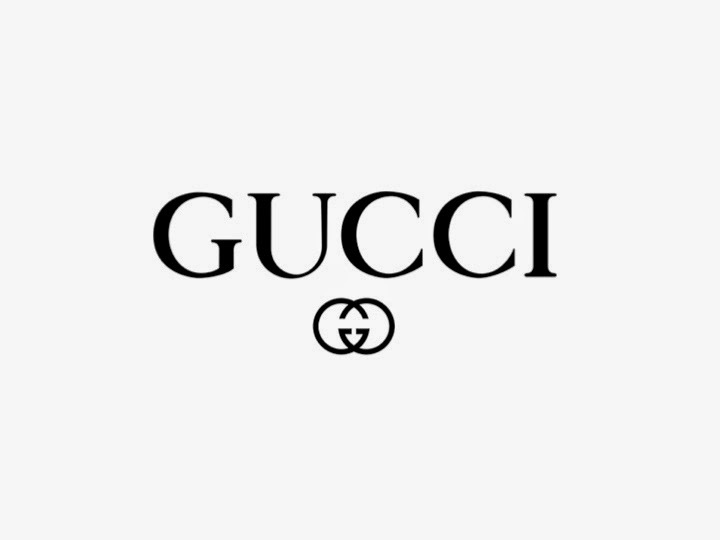 It has been said that GUCCI has generated about $4.2 BILLION in revenue worldwide in 2008 alone according TO BusinessWeek magazine which allowed it to CLIMB to the 41st position in the MAGAZINE'S annual 2009 "Top Global 100 Brands" chart CREATED by Interband. Gucci is also the biggest-selling ITALIAN brand in the world. In 2013 the brand was valued at $12.1 Billion with a sales of $4.7 BILLION. Operating about 278 stores worldwide its CLEAR to say that Gucci is doing it's THING in retail and has no plans ON slowing down. #iGrind SALUTES Guccio Gucci for his success and work EITHIC he put into CREATING the Gucci brand. KNOWING that Gucci will always have a big impact on fashion it was ONLY right that we give GUCCI a tribute. 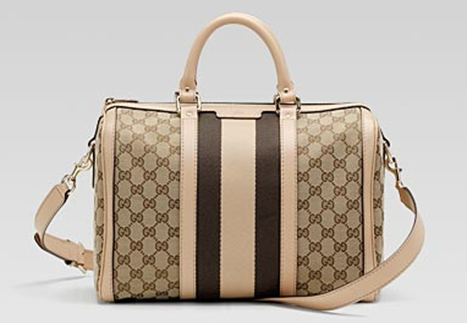 To see more of GUCCI and their luxurious bags and enticing clothing line visit www.gucci.com or on their varies SOCIAL media networks shown below. Collective thoughts was STARTED in March of 2013. It was CREATED because CEO/Creative Director ABE SIMS grew tired of the violent stereotype that plagued Chicago from within and from a far. The actually concept began when SIMS thought about how Chicago should be portrayed MORE so in a positive light and less in a negative ONE. 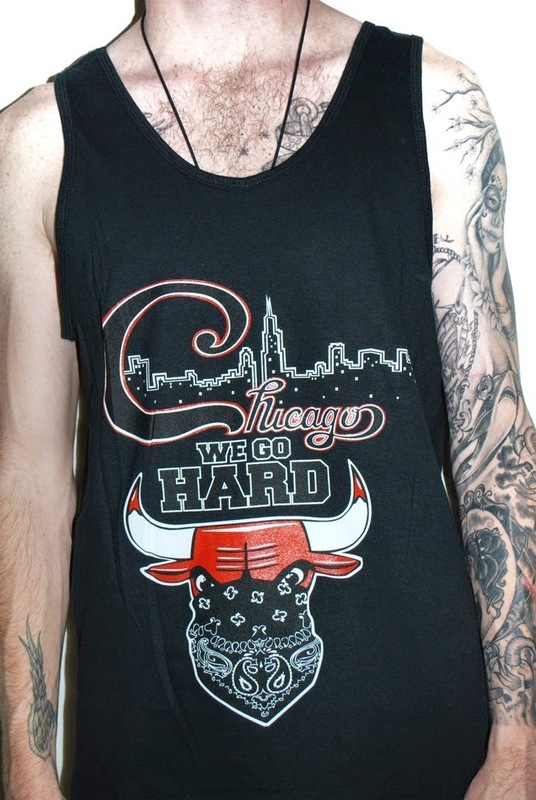 While doing some traveling throughout the COUNTRY, Sims told us that he NOTICED that Chicago was being frowned upon due to all the NEGATIVE media coverage the city was getting and within MINUTES he instantly thought UP of the first image and logo of COLLECTIVE Thoughts which is the infamous CHI WORD with popular places and people names MAKING up the word (CHI). This in time created more positive ideas to expand the brand its SELF. Collective Thoughts' mission STATEMENT is the belief that FASHION is more then high END and unaffordable products for YOUTH and families to purchase. Stressing the fact that COLLECTIVE Thoughts are more made up of quality and RESPECTABLE clothing for all to wear no MATTER race gender or age. "We are fond believers that YOU can't move forward without RESPECTABILITY, accountability to SHOWING the ultimate respect to those who paved the way TO where we are today" stated Sims. 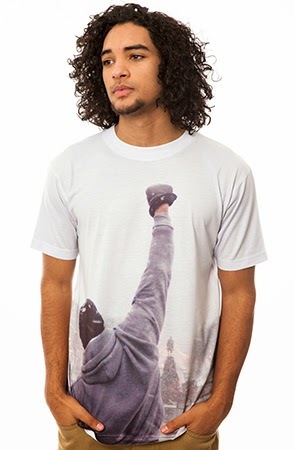 Collective Thoughts CHOOSES to offer a variety of T-SHIRTS, Hoodies, Raglans and other apparel as well. NOT only does Collective Thoughts focus on fashion and CLOTHING but it also spotlights positive IMAGES and logos that bring positivity to the Chicagoland. 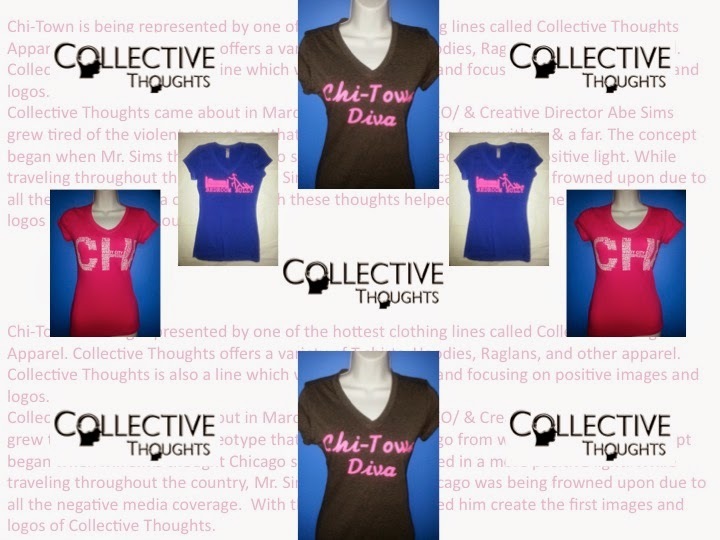 TO see more of Collective Thoughts visit their website at collectivethoughtsapparel.com or you CAN visit them on their varies SOCIAL media networks shown below. Collective Thoughts has BEEN worn by many CHICAGOANS such as R. Kelly, Twista, Derrick Rose, Deon Cole, Rodney Perry and Chicago's own mayor Rahm Emanuel just to name a few. #iGrind Salutes COLLECTIVE THOUGHTS for all its hard work and wishes them great success. KEEP GRINDIN! Broke Phobia is an up and coming FASHION LINE that is now taking the nation by storm. FOUNDED by Justin J. Dunn in 2012, Broke Phobia FIRST appeared in Chicago, IL. It quickly spread THROUGHOUT the United States with the iconic LOGO of the brand name itself (BROKE PHOBIA). DUNN made IT so that the brand WOULD have no BOUNDARIES because he wanted to draw on the UNIVERSAL fear of being BROKE at the same time attract the INTEREST of people by applauding the CONSTANT motion to grind for more. Justin stated "FOR ME, it's all about who you are. Wherever I walk, I want an EMOTIONAL impact on viewers. I want to FEED them my drive and ambition... Make them FEEL like they can go OUT and get it; whatever IT maybe but I also want to ENCOURAGE them to work HARD for whatever they want. And on that PRINCIPLE only is what keeps me designing." Broke Phobia lets its AUDIENCE know that this is not a MOVEMENT but a lifestyle; a MINDSET per say. I mean clearly BROKE PHOBIA means the fear of being broke. Being DEATHLY afraid of not being ABLE to provide for ONESELF; but seeing that JUSTIN flipped the entire MEANING and portrayed it as a way to obtain WEALTH is really what makes this brand special. BROKE PHOBIA understood at a early stage in the GAME that you're nothing without those COMMAS backing you.You can check out Broke Phobia more at their website www.brokephobia.com or on their varies SOCIAL media networks shown below. #iGrind Salutes BROKE PHOBIA for all its hard work and wishes them great success. KEEP GRINDIN! 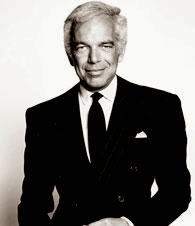 Designer Ralph Lauren was BORN in New York City on October 14, 1939. His parents WERE Ashkenazi Jewish immigrants from BELARUS and at the age of 16, Ralph and his brother CHANGED their last name to Lauren because they were often TEASED consistently at school. Ralph Lauren ATTENDED Baruch College in Manhattan, where he STUDIED business for two years and then headed TOWARDS the Army. 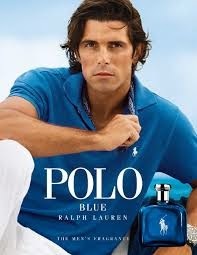 After that brief period Ralph Lauren TOOK a sales job at Brooks Brothers a CLOTHING store for men. In 1967, Ralph Lauren began DESIGNING men's neckties, branding them under the name "POLO" and selling them at large DEPARTMENT stories. Not long after Lauren expanded his designs TO a full menswear line. In 1970 Ralph Lauren was AWARDED the Coty Award for his MENSWEAR designs and following his recognition, he RELEASED a line of women's suits tailored in a CLASSIC men's style. Not long after that in 1972 Lauren then RELEASED a short-sleeve shirt in 24 different COLORS embalming the shirt with the Polo logo which later BECAME his signature look. 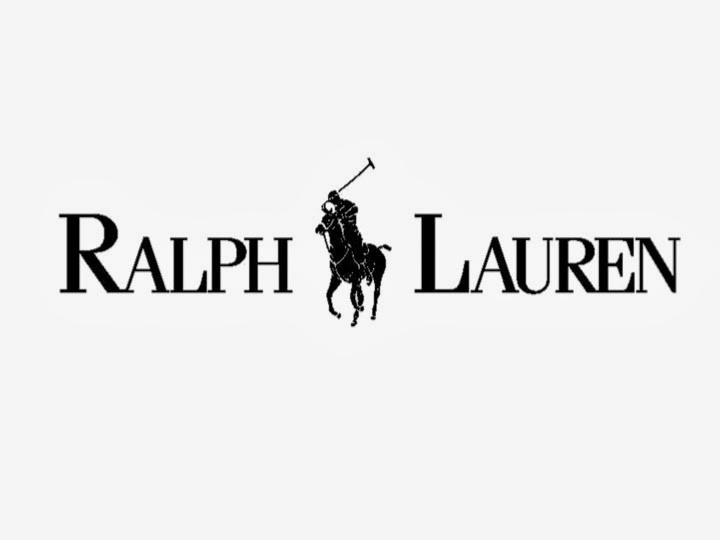 With the great SUCCESS Ralph Lauren was getting from his already PRONOUNCED clothing, he broadened his brand even FURTHER by including a luxury clothing line, HOME furnishing collection and a collection of FRAGRANCES; this is what put him over the EDGE. 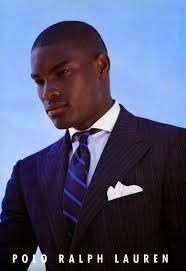 #iGrind Salutes Mogul RALPH LAUREN for his success and work ethic he put forth into CREATING his empire brand. KNOWING that he will always have a big impact on fashion it was ONLY right that we give him a feature/tribute. 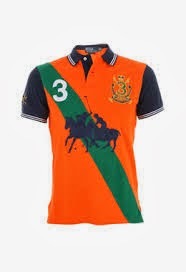 To see more of RALPH LAUREN and his amazing clothing line visit www.ralphlauren.com or on his varies SOCIAL media networks shown below. NOTALKING is not only a clothing line but a PHRASE derived from a critical point in two YOUNG men lives where they realized, talk is cheap and ACTIONS speak louder then words (NOTALKING). 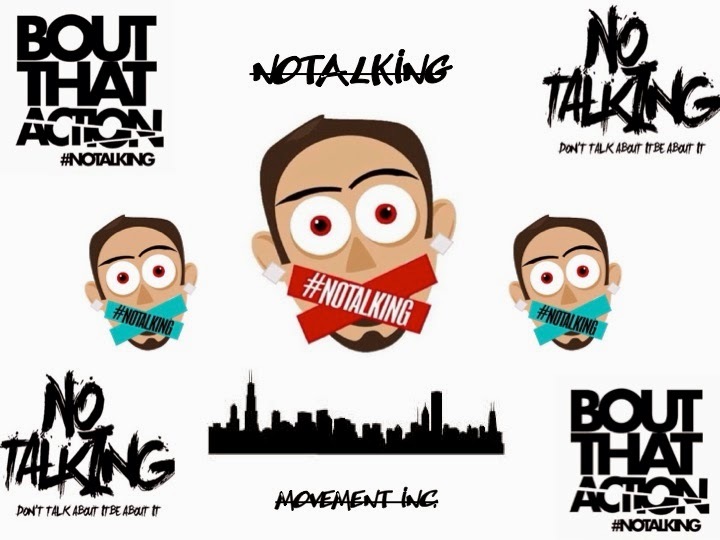 Foundered by Marcus and Steven CHATMAN the #NOTALKING brand was INITIALLY designed to act as a CURE for the pain the TWO felt for the lost of their brother MIKE Chatman who was KILLED in Aug. of 2010. Still HAVING to face the fact THAT their brothers killer has still not been found, the CHATMAN BOYS put into action that the phrase and APPAREL be intended to be a way to motivate PEOPLE into taking action against violence instead of just TALKING about it. In an interview taken by CHICAGO'S own Fox 32 News Marcus stated, "EVERYONE is always talking about what they're going to do BUT still not letting their actions SPEAK for they're doing. So I use the words NOTALKING to make them step up on their ACTION." #NOTALKING MOVEMENT INC states that their MISSION is to promote POSITIVE entertainment as well as BLACK empowerment. This is because the CHATMAN BOYS felt as though they were LOOKED down upon while growing up and wanted to CHANGE the negative image they were given to a positive FORCE/response to all the injustices AND inequalities that they had experienced. MOST of you that are from Chicago PROBABLY already know of or HEARD of the #NOTALKING movement and know how BIG and powerful the movement IS. Always debuting in LOCAL raps videos as well in URBAN affairs it is pretty CLEAR to say that its a pretty big deal HERE in the Chi. To see more of the #NOTALKING BRAND you can visit their website @ www.notalkingmovementinc.com or on their varies SOCIAL media networks shown below. #iGrind Salutes NOTALKING MOVEMENT INC. for all its hard work and wishes them great success. KEEP GRINDIN! 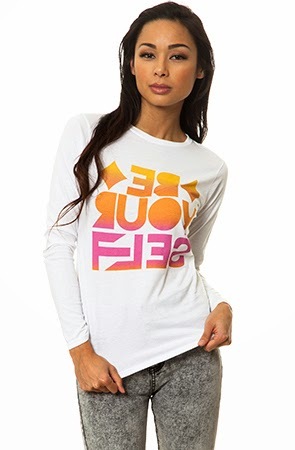 Xtreme Class Apparel is a male and female T-shirt line that WAS created for those with a sense of HUMOR as well as those who have a open mind to their OWN "fashion". 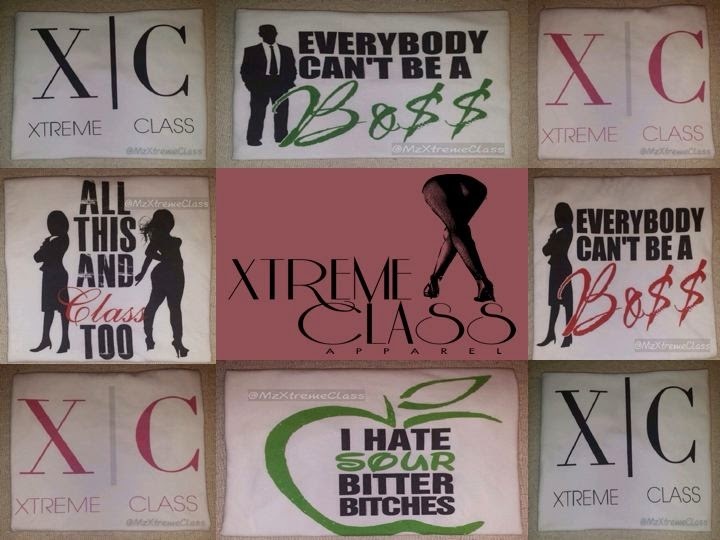 Xtreme Class was originally a PROMOTIONAL company with aspirations on being an OUTSPOKEN t-shirt line. Actually being fully CREATED on paper in 2011, Xtreme Class Apparel fell UNDER the radar until about 2013 until things STARTED to pick up. Clients including men and WOMEN from Chicago, Houston, California and Atlanta, it was CLEAR to Xtreme Class that they had something BIG going for themselves so they continued to PUSH forward. Having featured 9 designs WITH about 4-6 more on the way, its clear to see that XTREME CLASS is out to show variety. To see what Xtreme Class Apparel has to OFFER visit their Big Cartel Page @ http://xtremeclassapparel.bigcartel.com or on their varies SOCIAL media networks SHOWN below. #iGrind Salutes XTREME CLASS APPAREL for all its hard work and wishes them great success. KEEP GRINDIN! What is Turtle Juice you may ask? REFERRING to the actually clothing and not the DRANK, Turtle Juice is simply being stylish and lean at the same time while looking fly. ;) The concept came ABOUT by Michael Cardine while he was HANGING with his friends and apparently drinking lean. (Promethazine with Codeine) He told #iGrind that his friends kept calling the drink TURTLE JUICE and at that moment it clicked for him. 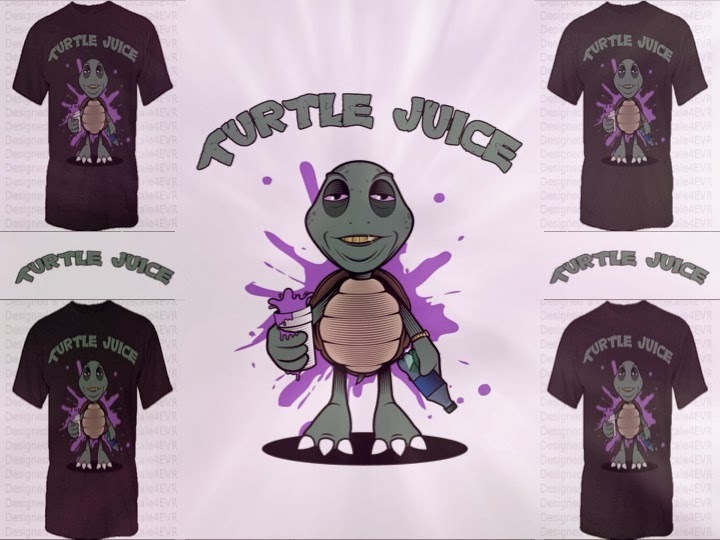 SEEING that he always dreamed of coming out with a T-SHIRT line, he chose the words "Turtle Juice" as the NAME because he felt like it was "hot" as well as a CATCHY phrase for people to rock with. Michael STATED that Turtle Juice in essence simply means lean (i.e. THE DRINK) because once you drink a certain amount of it in time it makes you move slow like a turtle. KNOWING that everyone doesn't drink lean or is FOND of the beverage, Michael chooses his target AUDIENCE to be mature young adults who are into DRINKING the drink and who do it maturely. Cardine says, "If you are into LEAN then this is for you. If you like looking FLY or like cartoon shirts this is also for you." (LOL) Turtle Juice steady focuses on their MOTTO which is to bring stylish clothes that young urban Americans can identify with in life into EXISTENCE. Gaining recongition from LUCCI from BGC, KANANI from Americans Next Top Model, PEEWAY LONGWAY from Waka and Gucci's camp, its CLEAR to see that this clothing line is a HIT! To see more on Turtle Juice and what it has to OFFER visit www.roieleve.com or on their varies SOCIAL media networks shown below. #iGrind Salutes TURTLE JUICE for all its hard work and wishes them great success. KEEP GRINDIN! 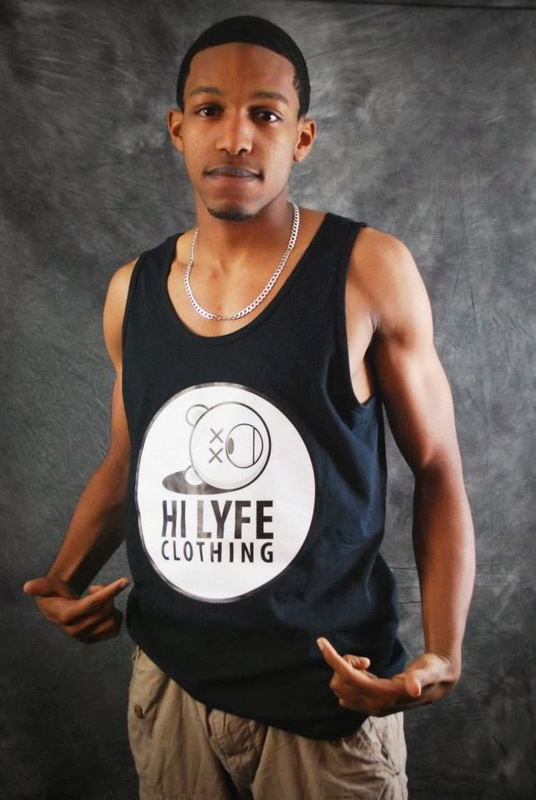 FASHION FRIDAY'S SHINES LIGHT ON HI LYFE CO.
What is HILYFE Co.? 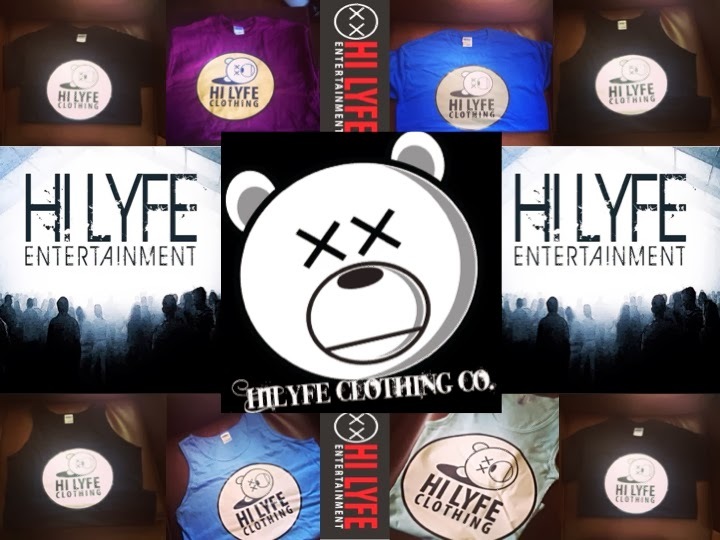 HILYFE Co. is a clothing line branched from the company HI LYFE ENTERTAINMENT which is a brand that represents a constant grind to achieving a better life. Encouraging people never to STOP trying to achieve GOALS no matter boundaries or LIMITATIONS but at the same time try to experience fun and liveliness in your everyday life. Foundered in 2004 by DeShon Sutherland, he created HI LYFE ENT. because he loved throwing events for AUDIENCES no matter the age group. 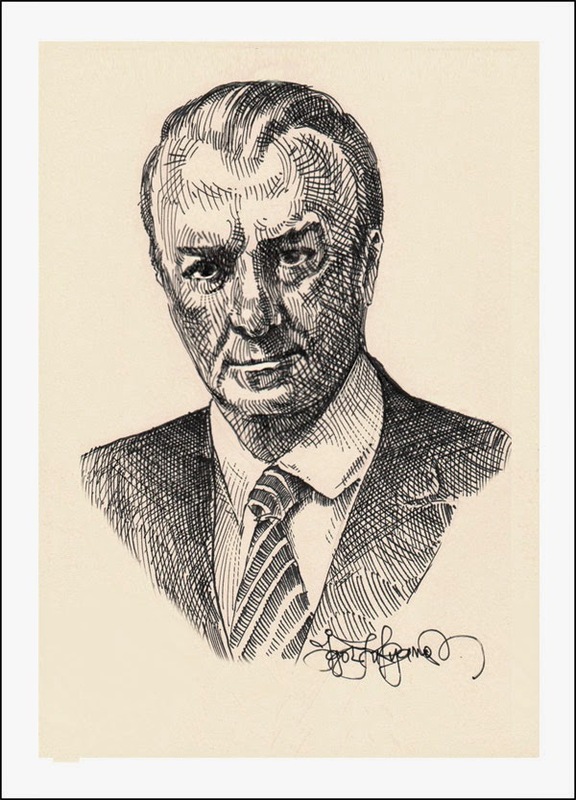 Having to add a VISUAL aspect or physical representation he then launched the HILYFE Co. line. giving people the opportunity to share in his belief. 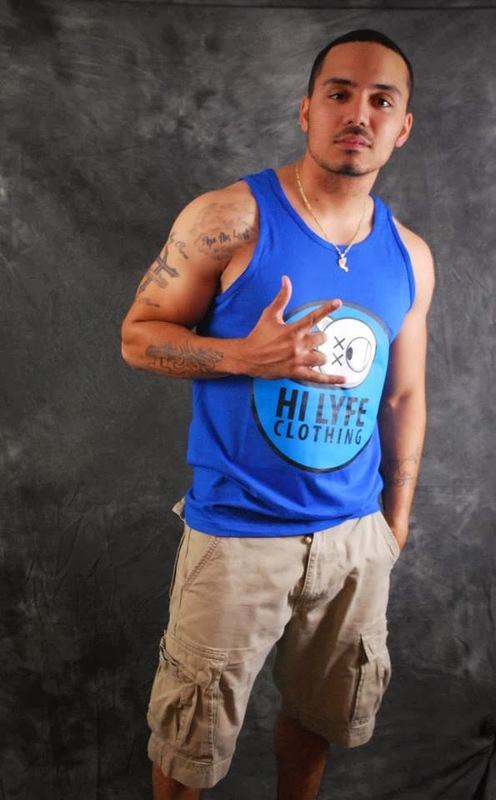 To see MORE of the Hi Lyfe Clothing line visit www.booster.com/hylife-ent or on their varies social media networks shown below. #iGrind Salutes HI LYFE ENT. for all its hard work and wishes them great success. KEEP GRINDIN! Dope Kollective takes pride in pushing themselves in taking a word with a negative connotation as in "DOPE" and twisting it around and making it positive. Although they are just a clothing line, Dope Kollective really wants to make it known to their audience that their clothing is really DEEPER then what it seems. Created by Phillip Scott, John Scott and Kizzle West these three guys really put some thought into making this line come to LIFE. Stating that their definition of dope was "anything that has an intellectual value and in which could intrigue the mind", its not hard to SEE why these fellas came up with the name Dope Kollective. 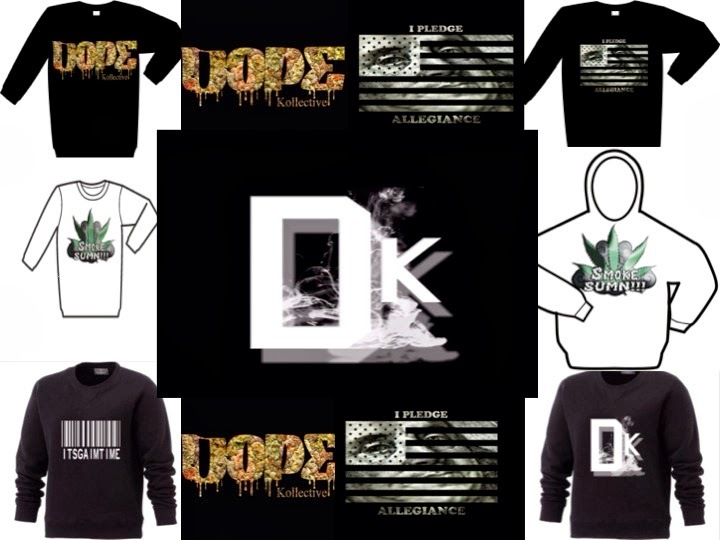 You can see more about Dope Kollective at there website dopekollective.com or on their varies social media networks shown below. #iGrind Salutes Dope Kollective for all its hard work and wishes them great success. KEEP GRINDIN! What is Fashion Feinz Clothing you say? Well let us ENLIGHTEN you. Fashion Feinz Clothing is an urban clothing line that represents a lifestyle of not having to be rich in order to really look FASHIONABLE. Created by Marquita Brown (CEO of Fashion Feinz), she created Fashion Feinz because she wanted to give people a sense of hope and aspiration so that they realize that you really don't have to be "BALLIN" in order to look good. Ms. Brown stated that, growing up she always saw people getting bullied because they didn't HAVE the latest clothes or shoes. So in return she felt determined to create a clothing line that would allow people to be able to AFFORD and want to sport something decent at the same DAMN time :). Going by the motto that "FashionFeinz is not just a BRAND, it's a LIFESTYLE" you can really tell that this clothing line is truly one of a kind. 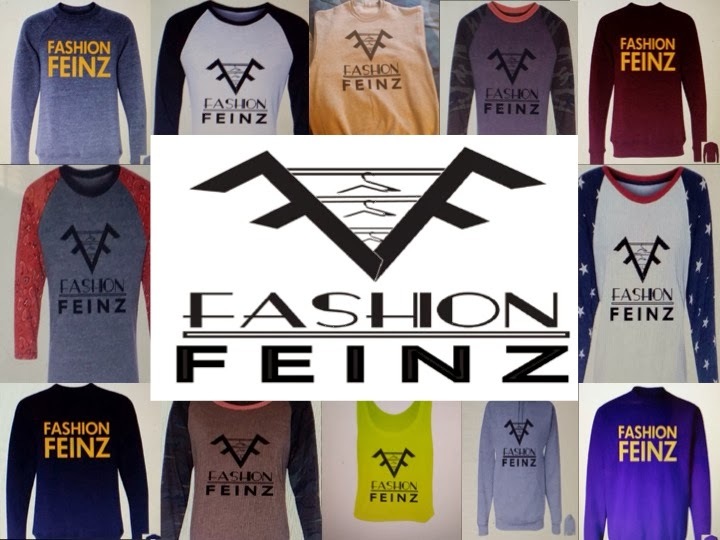 Specializing in tees and CREW NECKS its easy for someone to find something they like made by Fashion Feinz. To check out more about Fashion Feinz Clothing visit their website at fashionfeinz1.bigcartel.com or on their varies social media networks shown below. 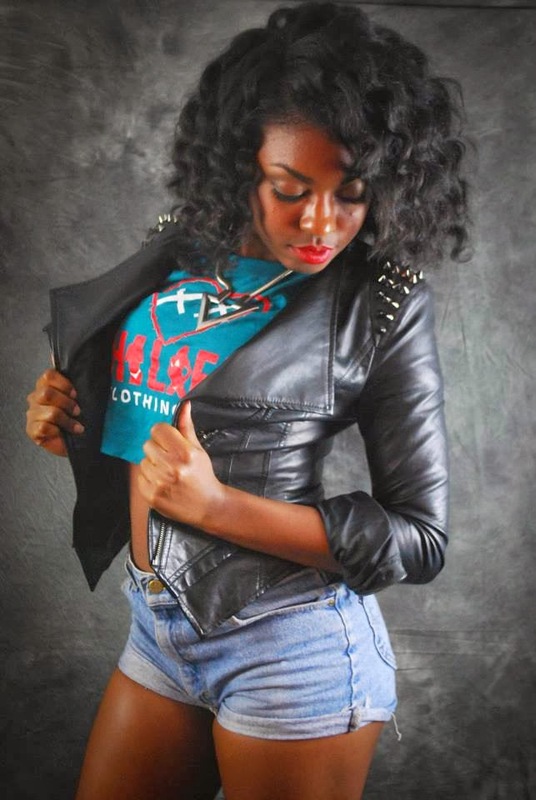 #iGrind Salutes Fashion Feinz Clothing for all its hard work and wishes Marquita great success. KEEP GRINDIN! Yes, Fashion Feinz can even be found in GTA5! What is TruLiesCo some ask? Well, first and foremost TruLiesCo is a Brand. An Underground Fashion line CREATED to be roc'd as an urban style with designs created by true innovators. Portrayed as a symbolic symbolism of creative GENIUSES, CEO Will Jamison states "We believe in being true to ourself's rather than living the lie society has planned out for you... Or in other words we choose to "STANDOUT" rather then to fit in." 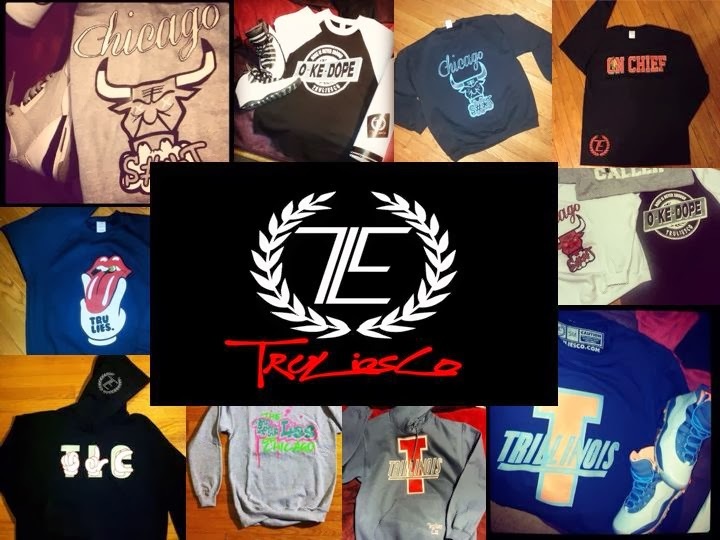 Mostly known in the Chicagoland area, TruLiesCo can be wore by any and everybody. 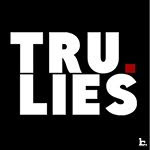 With popular shirts as "Chicago BS", "Trillinois" and "TLC Logo" TruLiesCo has made an great IMPRESSION from the very beginning. To check out more about TruLiesCo you can visit their website at TRULIESCO.COM or on their varies social media networks shown below. #iGrind Salutes TruLiesCo for all its hard work. KEEP GRINDIN!